Announcing ZOOM 6.4, which includes GDPR support, pervasive media capture integrations with Amazon Connect, AudioCodes and Microsoft Skype for business as well as a new analytics package, NPS capabilities and cloud native monitoring suite. Watch our webinar to learn about our most innovative release in nearly 20 years. Does your contact center or back office team use Microsoft Skype for Business to interact with your customers? 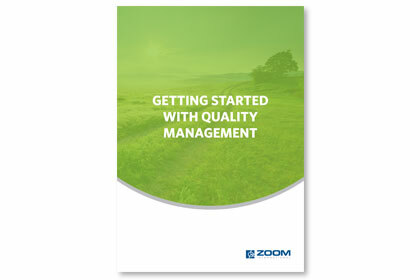 If so ZOOM can provide compliance recording, and quality management for those teams. Watch our webinar to learn more about the ZOOM Skype for Business integration and features. ZOOM knows that you cannot manage what you cannot measure. To that end, we have brought a full analytics package to market in support of our WFO suite. ZOOM Performance Analytics (ZPA) is easy to use, pre-configured, contact center focused and comprehensive. Watch our short overview video to learn more! Compliance standards are ever evolving, creating greater risk to revenue within contact centers as recordings of cardholder information are stored in quality management systems. 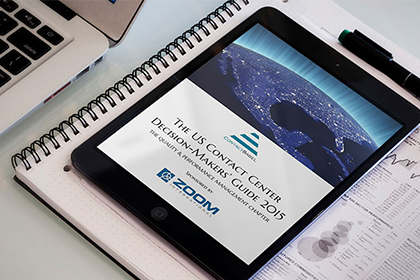 This white paper outlines challenges and how ZOOM resolves them. 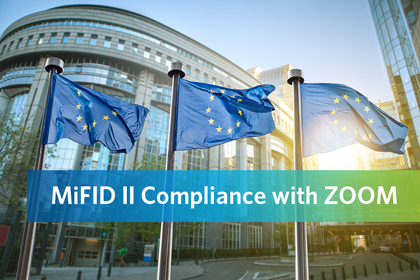 In it, we explain our support for MiFID II, which is a very simple, quick to implement, and low-cost way to ensure your ZOOM Call Recording or ZOOM Quality Management products address the regulations. Contact center go-to experts ContactBabel released a major annual report studying the performance, operations, technology and HR aspects of contact center operations. Get best practices in Quality Management from around the world. 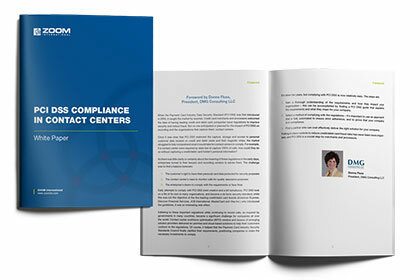 If you want to get some new ideas about quality management in contact centers, get your personal copy today. Understanding your agents helps to keep the best ones. This free ebook is designed to give you the basics for how to understand and retain the call center talent you need to succeed. 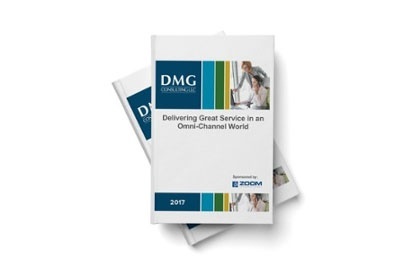 To improve the customer experience, engage agents and eliminate risk, enterprises should build omni-channel QA programs and implement them as soon as possible. 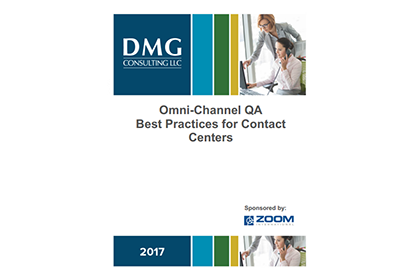 This white paper provides best practices to help companies build an effective omni-channel QA program for their contact centers. Organizations need a performance management environment that captures all aspects of the customer journey and the actions taken to address the issue at each step of the process. 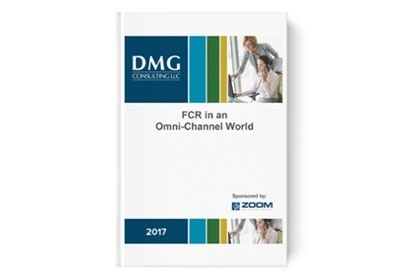 This white paper will explain how to calculate FCR, discuss the applications needed to collect and analyze the business intelligence, and provide the steps for getting started. To deliver an outstanding customer experience (CX), companies need the right resources, practices and technology working together to give agents the information they need in real time so they can help resolve customers’ issues. When analytics is interjected into the process, it takes service to the next level, as it enables agents to personalize the experience for each customer. Want to serve customers better and more cost effectively while getting valuable information about every interaction? 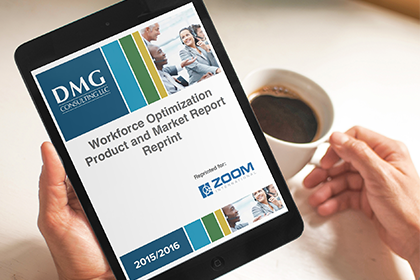 Download this analyst report, from DMG Consulting LLC, and learn why ZOOM is ranked #1 in customer satisfaction. Many contact centers handle sensitive customer payment card information on a daily basis. As a result, adoption of the PCI DSS by all payment card companies presents a huge challenge. 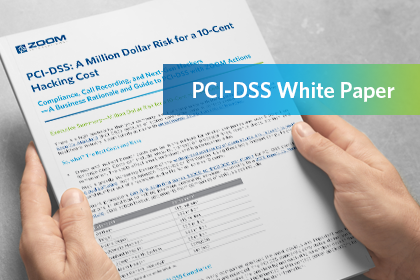 This white paper is designed to help you understand the impact PCI DSS has on your agents, as well as your recording and storing of interactions. You want your customers to have a good experience at every step of their journey with you, so it’s essential that you map out that journey, step by step. 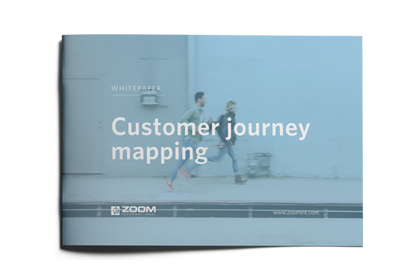 This whitepaper is designed to give you the basics for how to identify, assess and improve every step your customers take in their journey with you, to retain your current customers and attract new ones. Speech analytics can be confusing – you know it has benefits, but you're not sure what they are or how to get them. 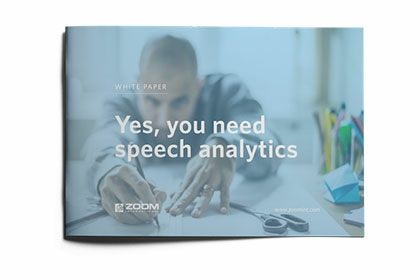 This free whitepaper is written in conversational English to give you a thorough introduction to speech technology – what it is, how it works, how it can help you, best practices and how to figure ROI to see if it's right for you. 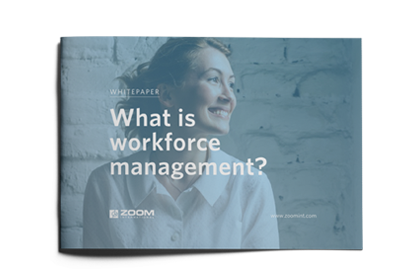 There are six processes Workforce Management can help you improve your customer service operations – forecasting, planning, scheduling, operating, reporting, and performance analysis. This whitepaper is a highly readable, foundational introduction to all six, giving you a solid grasp of the fundamentals of using WFM successfully. Come join us at the conferences and exhibitions. We look forward to seeing you there.